We are hurting future generations of Arizonans by forcing young families to live in poverty. I grew up in a blue collar union family in the rust belt of Northern Ohio. I see the benefits that my family had — full time wages, health insurance, paid vacations, paid sick leave, pensions, food on the table, and a roof over our heads– because my Dad was a proud member of the United Steel Workers. Arizona workers deserve a living wage, they deserve the right to organize, and they deserve food and housing security. The majority of Arizonans have none of this now because the Republican Party works for big corporate donors– and not for the people of our state. 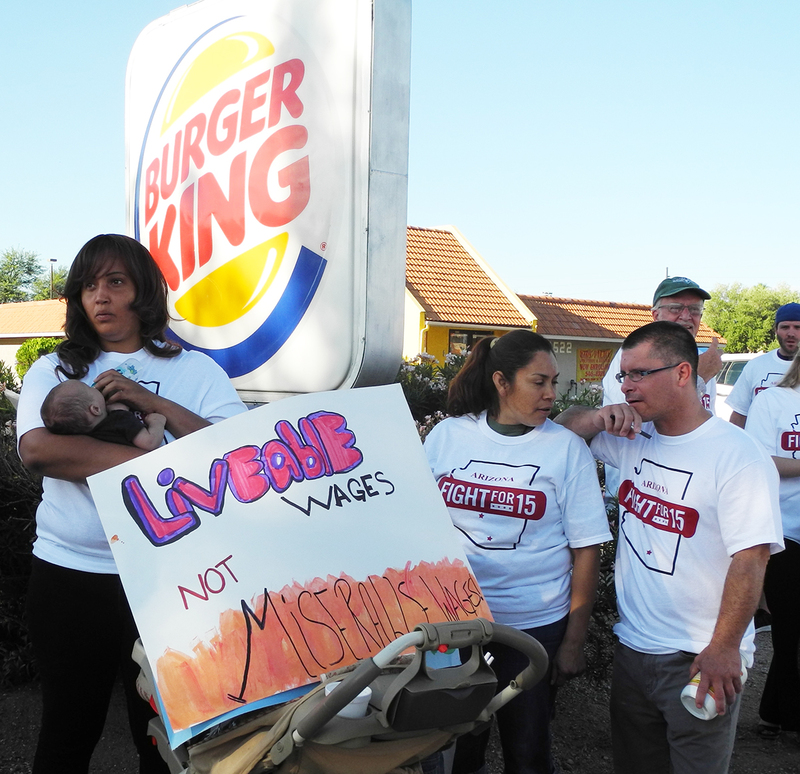 Arizona has chronically low wages that are far below national standards. This has got to stop. For women in Arizona, the picture is particularly bleak. Tucson was one of the worst cities in the US for wage gap between men and women. Before voters approved raising the minimum wage incrementally in 2016, the median wage for women in Tucson is $10.75/hour. That means half of the women make more and half make less. 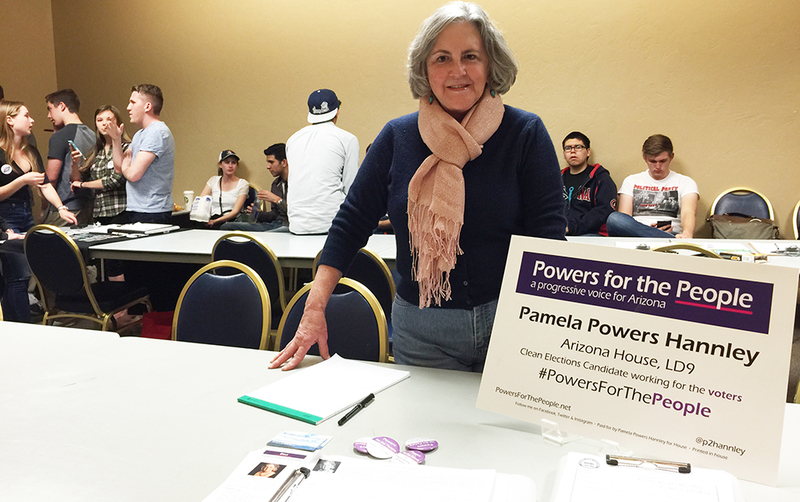 If the minimum wage were raised to $15/hour, more than half of the women in Tucson would get a raise. That is appalling– particularly when you consider that many of these young women are single Moms. In the Arizona Legislature, I will fight for paycheck fairness for women and minorities, including racial and ethnic minorities, as well as the LGBTQ community. When large swaths of our society make less than the prevailing wage, it hurts all of us. Wealthy multinational corporations have successfully lobbied to suppress the minimum wage, unionization, paid leave, overtime pay, and sick pay and to promote economic inequality. Taxpayers subsidize this system by footing the bill for food stamps, childcare subsidies, housing assistance, and increased crime. Women in the US won’t have equality until we have control over our bodies, equal pay for equal work, an equal voice in government, and the Equal Rights Amendment. For more than 90 years, American women have been fighting for Constitutionally protected equal rights and equal pay for equal work. The Equal Rights Amendment (ERA) was proposed the first time in the Arizona Legislature by former Supreme Court Justice and former member of the Arizona Legislature, Sandra Day O’Connor. I want to be the last person to propose the ERA for the last time. In just a few years, it will have been 100 years since the ERA was first proposed. The ERA needs only ONE more state to ratify, and Arizona is one of the laggard states that never ratified it. Women will never have equality in the US without the ERA. The Lily Ledbetter Fair Pay Act has no teeth without the ERA. Overall, American women make approximately 78 cents on the dollar compared to men. Due to the intersectionality of race, ethnicity, class and gender, the pay gap is worse for African American, Hispanic and Native American women than it is for women of European or Asian descent. African American women make 65 cents on the dollar compared to white men, Latinas make 55 cents on the dollar compared to white men, and Navajo women make 50 cents on the dollar compared to white men. Tucson has a 41 percent Hispanic population. Just think how many Latinas are living in poverty with their children. If we passed the ERA and gave these women equal pay for equal work and gave them and their children a decent, affordable education, THAT would be economic development for Tucson and Arizona. Before voters raised the minimum wage in 2017, the business sector predicted large job losses. A funny thing happened. Jobs were created– particularly in the restaurant sector– after the minimum wage was raised because people had money to spend. Passing the ERA and guaranteeing equal pay for equal work would boost the US economy. I proposed the ERA twice in the Arizona House, and both times the Republicans voted to recess or adjourn rather than vote on women’s rights. In 2019, I will propose ratification of the ERA again. It’s time Arizona. Let’s make history by being the last state to ratify the Equal Rights Amendment and send it back to Congress to become an amendment. In addition to basic economic reforms, I have fought for worker rights, equal rights, and voting rights in the Arizona Legislature. It’s time for all workers– regardless of race, ethnicity, gender, or sexual orientation– to make a fair, living wage and to be free from the yoke of poverty. And it’s time for women to finally have equal rights and equal pay. Here are a few blog posts and videos on this topic. Here is longer video on women’s issues and the ERA from by 2016 campaign.